How do I get the insurance company to pay for my out-of-pocket expenses? After a car accident, your bills can easily start to pile up. Expenses such as parking at the hospital, doctor's appointments, medication, assistive devices, paying the ambulance bill, paying to the television in the hospital room. All of these bills certainly add up and create unnecessary financial strain on the family of the injured party. Speak to your personal injury lawyer about these out-of-pocket expense. It's important that you hold on to your original receipts. Make a folder and save these receipts in your folder. Your personal injury lawyer will submit these receipts to the insurance company on the special accident benefit form (OCF-6) to make sure that you get paid. 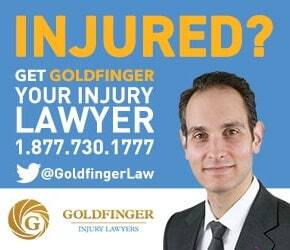 If your personal injury lawyer isn't doing this, then you should seriously consider finding a different lawyer. I can't work after my car accident. Can I get paid by the insurance company? One of the accident benefits available to injured parties following a car accident is called an Income Replacement Benefit. An Income Replacement Benefit or "IRB" will cover up to 80% of your pre-accident net income based on your past 4 weeks of work, of past 52 weeks of work (if you're self-employed), with a limit of up to $400/week. This $400/week can be increased if you purchased optional insurance to increase the benefit. This optional rider cannot be purchased and applied after the initial car accident. You need to have done it before the car accident, which very few people opt for. In order to collect an IRB, you will need to get your employer to complete an Employer's Confirmation of Income Form (OCF-2). You will also need to submit your tax returns for your previous years of working to prove how much money you made in the past. The insurance company also may require pay stubs, bank statements, invoices, or any other financial information they deem necessary in order to prove and quantify your pre-accident income. Helping self-employed accident victims can be very tricky if their financial records are not in order. Insurance companies will hire forensic accountants to make the IRB calculation for many injured parties, particularly self-employed accident victims. It's also very important for accident victims to know that if they haven't reported their income for a number of years, then they can't claim an IRB. Insurers need proof of income, which exists on your tax returns. If you haven't reported your income, then you won't be able to claim an IRB. Simply telling the insurance company that you were getting paid a lot of money in cash before your car accident is not sufficient proof. You need to file your tax returns and report an income on those pre-accident tax returns in order to collect an IRB. Another way an injured party can recover their lost income is by claiming for Employment Insurance, Canada Pension Plan-Disability Benefits, Short Term Disability Insurance and/or Long Term Disability Insurance. Your personal injury lawyer or family doctor can help you with all of these applications. These are all excellent options for injured parties following their car accident if they're unable to work.